I bought 3 cans of tuna last week since it was on sale, buy two get one free. 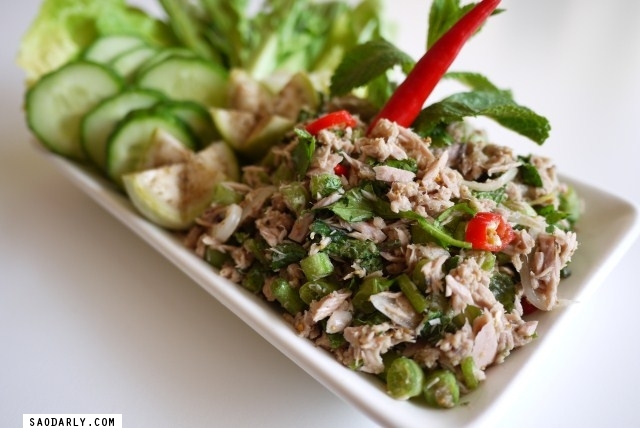 I usually make tuna salad or tuna sandwich for lunch or dinner using canned tuna. For today’s lunch I decided to be creative and thought why not make a Lao Spicy Tuna salad out of it or Koi Pa Tuna. I like to make Spicy Tuna Salad using fresh tuna whenever I can afford to visit my favorite Fish and Seafood store in Den Haag or The Hague. 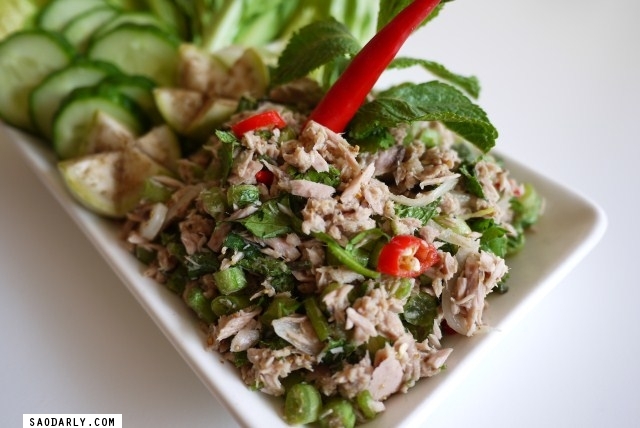 For this experiment, I used one canned tuna packed in water as the main ingredient. I made sure it’s well drained before I mix it with the other ingredients such as lime juice, fish sauce, chili pepper, toasted sticky rice, green bean, sweet onion, mint, and coriander. 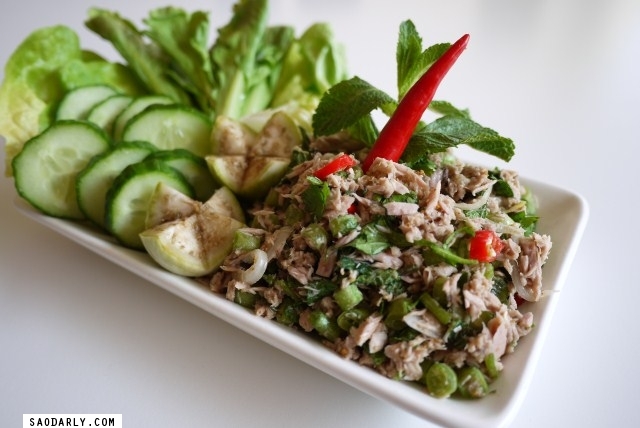 The Spicy Tuna Salad was served with lettuce, tong ho, cucumber, and green aubergine. What is the verdict? It was freaking delicious and I will make Spicy Tuna Salad from Canned Tuna again. I like it even better than the chicken version since I’m not much of a fan for meat and poultry.